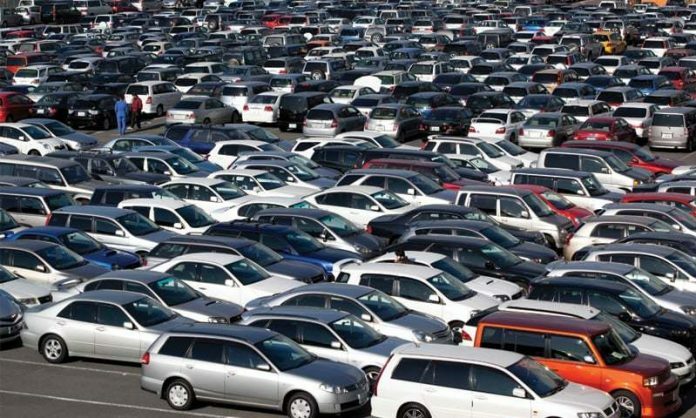 KARACHI: Despite the claim from the auto sector of declining sales of passenger cars owing to the non-filer condition of the government, the passenger car sales have gone up by 1.1 per cent to 51,221 units sold in the first quarter of 2018-19 compared to 50,640 units sold in the same period last year. In contrast to higher auto sales during July-August 2018, an across the board drop in auto sales was witnessed in September 2018 auto sales – whilst higher than August 2018 numbers – were still lower by July 2018 standards. Autos sector delivered passenger cars to non-tax filers by June 2018, major OEMs pushed 2017-18 auto deliveries to tax-filers in first quarter 2018-19 with the result that July 2018 auto sales remained higher. The country’s auto sales grew by 3 percent YoY in September 2018, breaking the trend of falling volumes in the past couple of months. Sales were also up by 10 per cent MoM due to a higher number of working days in the month of September 2018 compared to August 2018, the analyst said. However, sales are down 4 percent YoY for first quarter 2018-19. The decline in industry sales was muted (due to a low base effect of HCAR sales in September 2017) but was still the steepest first quarter fall since 2012-13, he added. Analysts continue to expect significant demand contraction in the auto sector due to deteriorating macroeconomic environment, multiple prices hikes since December 2017 and impact of law requiring car purchasers to be tax filers. Automobile prices are expected to rise further due to sharp Pak Rupee depreciation (8 per cent) witnessed on October 9. This further solidifies our stance on volumetric decline within the auto sector as consumers’ affordability comes into question. 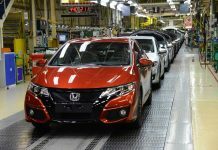 Honda (HCAR) witnessed a significant increase in volumes as unit sales rose by 32 per cent YoY due to a low base effect from September 2017. Similarly, on a sequential basis, unit sales increased by 14 per cent MoM while first quarter 2018-19 sales are up by 7 per cent YoY. Variant wise, Civic and City rose by 47 per cent YoY while BR-V sales continued to disappoint falling by 35 per cent YoY. Indus Motors (INDU) sales remained flattish YoY, with the company recording 2 per cent MoM decrease in units sold. Moreover, in the first quarter 2018-19, the company has sold 15,419 units, up by 2 per cent YoY. During September 2018, sales were led by Corolla, up by 8 per cent YoY. On the other hand, Hilux sales saw a rapid decline, down by 42 per cent YoY, reversing the trend of high growth witnessed in the first two months of 2018-19. Simultaneously, Fortuner sales continued to fall, (negative) 9 per cent YoY. Pak Suzuki Motor Company (PSMC) continues to report the worst decline in volumes, with September 2018 sales down by 5 per cent YoY. However, sales were up by 14 per cent MoM. For the first quarter 2018-19, unit sales are down 10 per cent YoY to 29,478 units. During September 2018 Wagon-R and Swift led the growth chart, up by 61 per cent YoY and 41 per cent YoY, respectively. 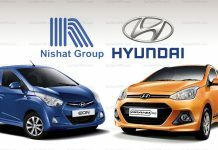 However, unit sales were dragged down by 37 per cent YoY and 23 per cent YoY decline in Mehran and Bolan, respectively. 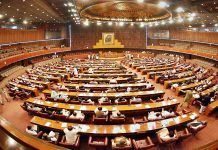 Industry sources said that Prime Minister said he will take ownership of the initiative in order to ensure smooth implementation and remove any administrative bottlenecks.